Filigree laser-cut from a slim panel of 925 sterling silver. With real hallmarks, the recognisable mark of precious English silver. Unique, simple and timeless: Your zodiac sign in a new design. With real hallmarks. For women and men. By Robert Tateossian, London. Stylish and unique jewellery that reveals something very personal about you: Your zodiac sign. Not classically interpreted, but contemporary and abstract. 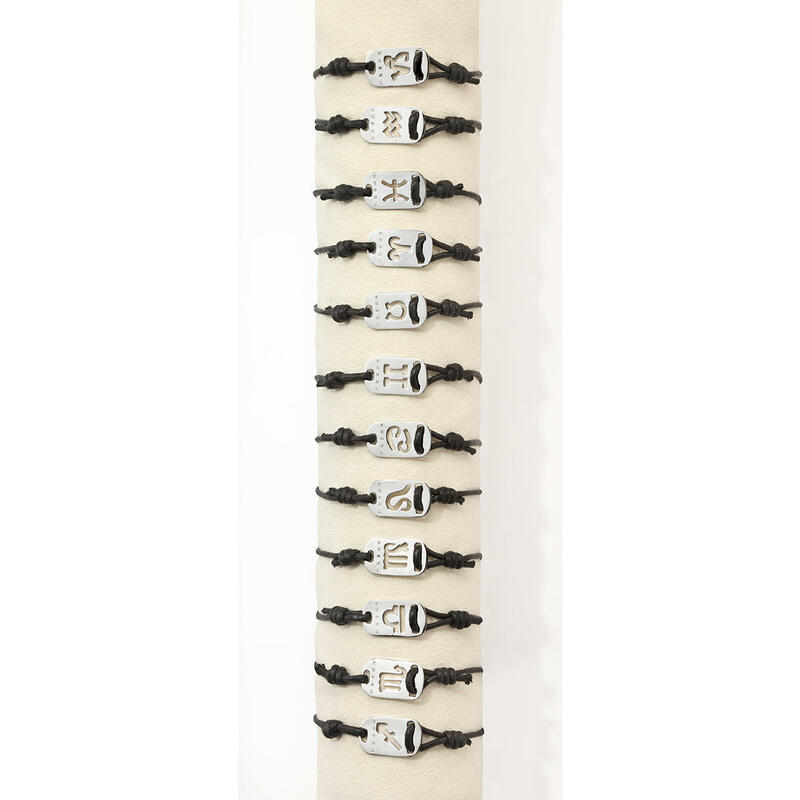 The waxed, black cotton cord gives the bracelet a casual touch. By moving the two side knots, you can easily adjust the length. The bracelet is perfect for everyday wear and suits jeans and leather jackets just as tastefully as a business or evening outfit. The stamp on the inside not only certifies the silver content (like all silver stamps), but also the origin: “RT” stands for the designer Robert Tateossian and 925 for sterling silver. The castle is the symbol for Edinburgh hallmarking, and the letter stands for the year of manufacture. These hallmarks are more valuable for connoisseurs than any certificate. Waxed cotton cord with 925 sterling silver tag. For women and men. In a precious jewellery box – a beautiful gift and sign of personal attachment.